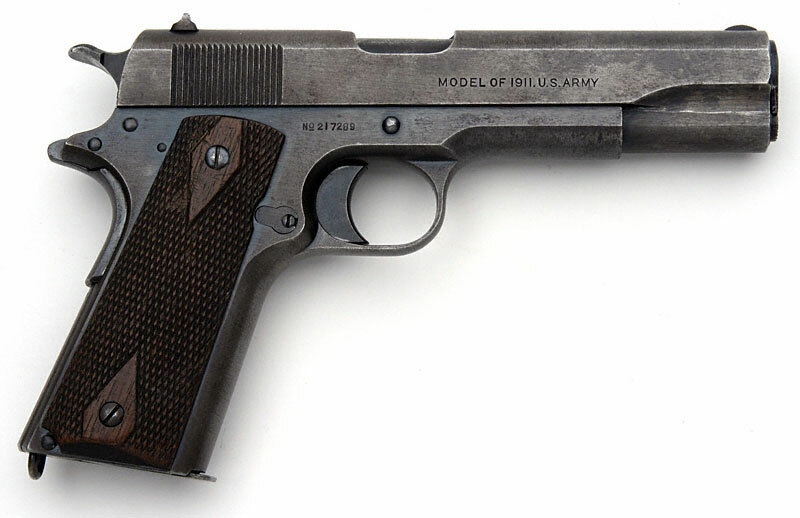 Colt Model 1911 US Marine Corps Contract - .45 cal. 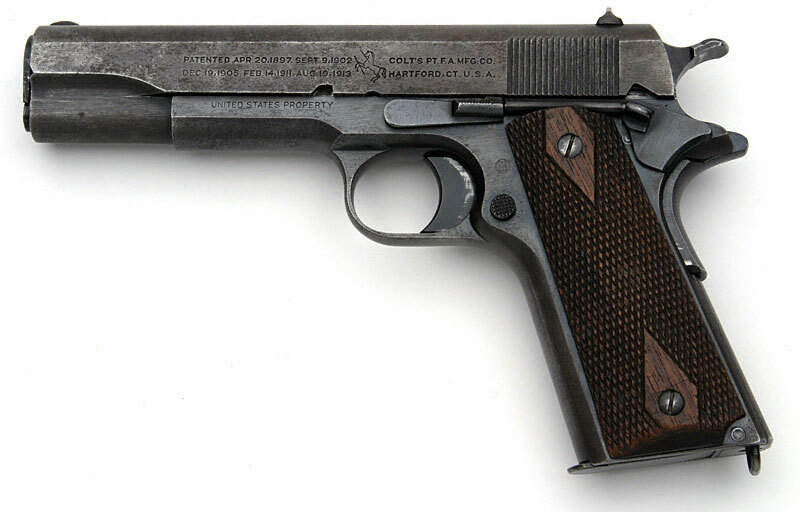 S/N 217289 shipped to the United States Marine Corp, Philadelphia, PA on January 8, 1918 in a shipment of 400 pistols. 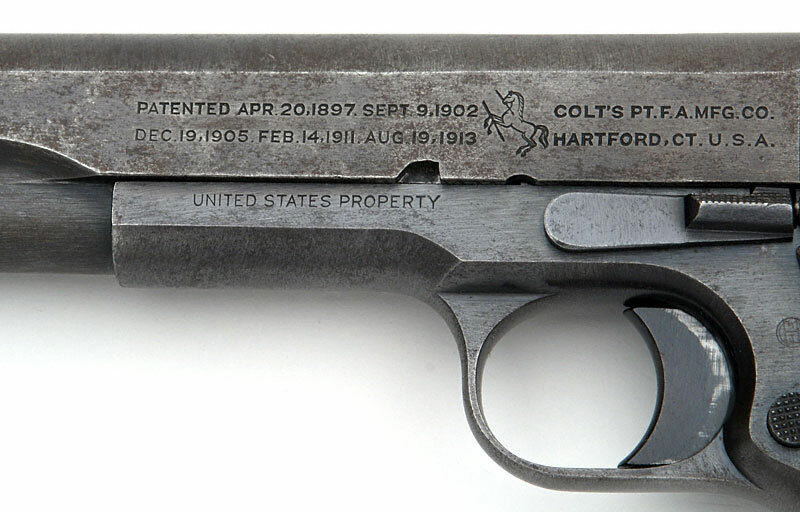 This example has some replaced parts (slide is from a slightly later Model 1911). 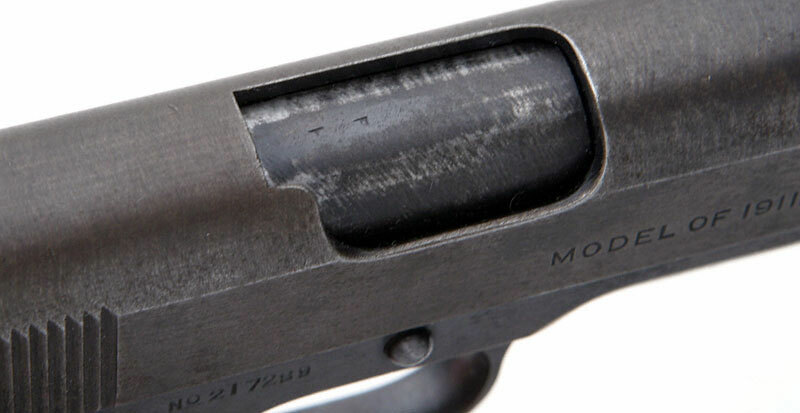 Barrel is original and is marked on the hood with a non-serif "H" and "P". Gun is being presented as-found. 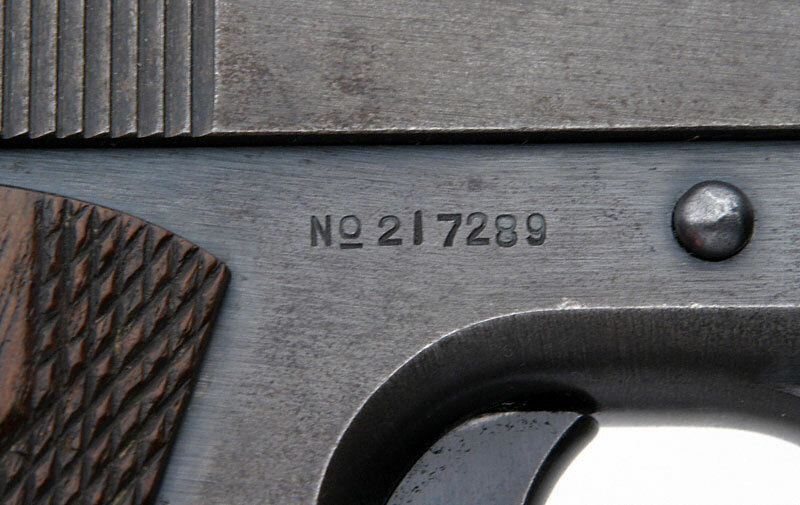 Close-up of serial number 217289. UNITED STATES PROPERTY mark on left forward frame. Left side. The mark of Army Inspector of Ordnance Major Gilbert H. Stewart. Stewart inspected these pistols from September 30, 1914 - January 12, 1918. Serial numbers of Model 1911 pistols inspected 101500 - 230000. 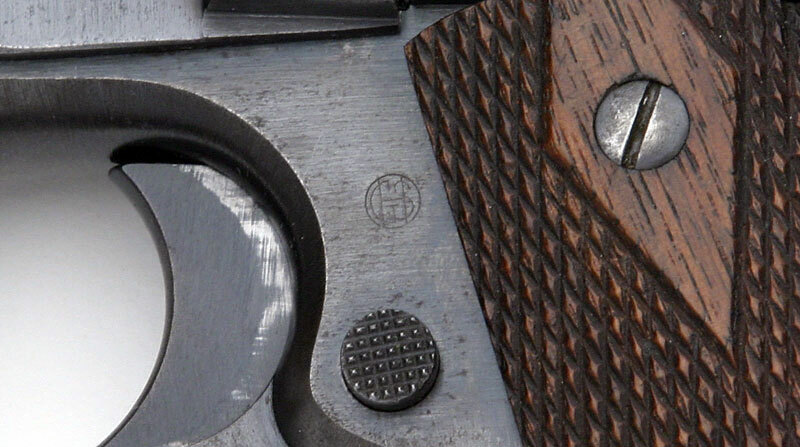 "H" mark on rear of slide, above hammer.